Elena is out this week, so Darcy Pattison and Marti talk with Jessi Suire, organizer of the Jambalaya Writers’ Conference, to find out what it takes to be invited to writing conferences and festivals as a speaker or workshop facilitator. Jessi Suire is the public relations and adult services coordinator for the Terrebonne Parish Library System. She has survived two years as the head organizer for the Jambalaya Writers’ Conference, a day-long literary celebration hosted each year by the library system. 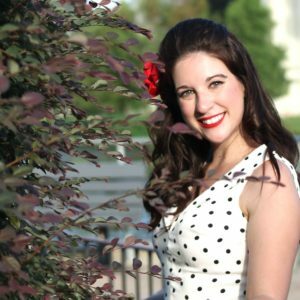 Jessi also leads several creative writing workshops throughout the year, including Writers Unite!, a once-a-month writing group for teens, and the Southern Writers’ Workshop, a twice-a-month writing group for adults. A lover of short stories, her work can be found in Pembroke Magazine, Belle Journal, and Dirty Rice Magazine—an adult literary journal recently established through the Southern Writers’ Workshop at the Main library. 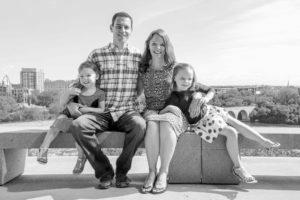 Today’s interview is with children’s book blogger and podcaster Tracy Babler. On Tracy’s website, she boils herself down into a few essential titles: writer, fundraiser, grammar nerd, and most importantly, storyteller. Tracy spends a lot of her day helping organizations create and improve writing so that it gets to the heart of the story. It’s not surprising then, that when you add another one of her titles-MOM- into the mix, what is born is a popular blog and podcast called Lu and Bean Read, which highlights the stories she and her girls are enjoying together and helps connect other parents and young readers to amazing new books and the authors that made them. Tracy’s journey to being a book blogger and podcaster began when she was hunting for books with good values for her own children. And then found herself recommending good books to her family and friends. Lu and Bean Read was born, when her children “Lu” and Bean” wanted to interview authors themselves. A kids podcast, by kids, for kids, about kids books! Lu and Bean (who are now 6 and 8 years old) invite authors and illustrators on to their podcast and ask questions they genuinely want to know the answers to. The kids pick the books they love reading and lead the show. The sort of books they look for include good illustrations, often have strong female leads, are racially diverse, and have themes and values that fit into their family. Plus they love funny books. Who doesn’t? Instagram is a great way to connect with book reviewers and bloggers by producing beautiful images of your books, and through supporting other authors and illustrators by re-graming their posts, or interacting and connecting with them. In order to be part of Tracy’s podcast or to contact any other blogger, email them politely, professionally and send them a copy of your book. Do not reach out and ask them to buy your book or to guarantee other people buy the book if they blog or podcast about it. When working with kids, be it on a podcast or even in a classroom, treat them like they’re smart, and share your backstory as kids love to know how an author came up with their book idea and their writing process. Bloggers can also go to their local library and request your books, which can help get them into libraries. Overall, book bloggers and podcasters are another way to gain exposure and make wonderful connections with readers. 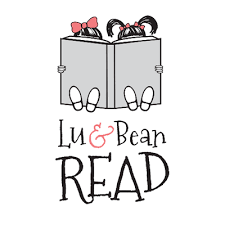 You can find Lu & Bean Read HERE.